Dermarolling / Microneedling / Re: Dermarolling Sunspots/age spots. Age spots are dark because they contain more melanin than the surrounding skin. Melanin is the pigment that determines the color of our skin. When our skin is exposed to the sun, the skin produces more melanin as a natural protection – melanin absorbs UV. Age spots are usually a result of sun damage. They are not really age spots; they are in fact sunspots. We sell Tretinoin cream that is really good at diminishing sunspots (if used long term). Initially it makes the skin dry so you have to moisturize a lot. Buy the 0.5% one. Long-term dermarolling will also improve sun damaged, pigmented skin. For pigmentation problems, more frequent dermarolling is better. Start using for example a regular 0.5 mm roller three times a week on your skin. On the days when you do not roll, apply the Tretinoin cream. Prior to dermarolling: Buy a pumice stone. Give your forearms (do not use pumice on the back of the hands) a very good scrub. Let it heal before rolling. If your skin also has lost its elasticity, add a 1.5 mm regular roller. (Infadolan does not improve pigmentations though). To thicken the skin, a regular 1 mm roller is good. You can buy a 0.5 mm but a 1 mm size is better in this case. However, you should disinfect your roller in perfume-free disinfectant. Dermarolling / Microneedling / Re: Simple SkinCare.. It is important to keep the skin moisturized after microneedling. You can apply (just a little is enough) of our Infadolan ointment which is intended for microneedling aftercare, or apply something else but it should be heavier than an ordinary hydrating cream. Also, do not use your old products in jars that have been touched by your fingers many times. The best is to buy a product in a tube because that is the most hygienic. It normally does not matter much but after dermarolling, tubes preferable. I often use almond oil for my skin and I keep a big bottle in the fridge and use it to refill a small bottle (I clean it when empty) that I keep in the bathroom. Buy a 1.5 mm dermastamp and stamp your scars densely ever three weeks. First one cheek, when it heals, the other cheek. If your scars are on a relatively small area, a dermastamp is enough. If your scars are spread on larger area and the skin is in general uneven in color or texture, combine a dermastamp with a dermaroller. In your case, a regular 1 mm dermaroller. You can roll every ten days and stamp every three weeks or you can roll and stamp during the same session (every three weeks). It is a bit difficult to see on the photo whether you have post-acne pigmentation and uneven skin tone. If you do, use our Tretinoin cream. Dermarolling / Microneedling / Re: Why does Casey Bahr say that dermarolling permanently damages the skin? And before our detractors will claim that this is due to a facelift, attached is Dr. Fernandes after rolling his face with a 3 mm roller. Fernandes' face can be seen all over the medical literature after rolling with needle sizes from 1 mm to 3 mm. He really gave himself over 50 dermaneedling treatments. If Mr. Bahr would have been right, Fernandes' face would by now look like a mouldy Swiss cheese. The reason so many CEO's of clinics post so much nonsense about dermaneedling is that they know it is a threat to their livelihood. That is difficult to answer because during each dermarolling session, only a certain percentage of the skin is renewed and it is hard to say how many rollings are necessary for an entire renewal cycle. ..our body does not always renew the skin in a better way than you started out with. Sometimes yes and sometimes no. In your case, it may happen that the body will produce new skin but that this skin will again be hyperpigmented because that is what your body now "considers normal" in that area and it will keep it that way. It may also partially go back to a lighter tone or it may fully go back to a lighter tone. In some rare, unfortunate cases, especially in individuals that are very prone to hyperpigmetations, the skin will react to dermarolling by producing even more skin pigment, just as it produced more pigment as a reaction to your dermabrasion but since dermarolling does not remove any skin layers, hyperpigmented reactions are very rare. Some initial redness and temporary pigmentation that eventually goes away is normal. Dermarolling is a much more gentle method comparing to abrasive methods such as dermabrasion, acid peels or even lasers. Lasers heat up the skin and that is much more prone to result in hyperpigmetation or hypopigmentation. You should definitely add a 1.5 mm dermstamp (stamp your scars densely every three weeks). You do not have to stamp all scars in one session. You can stamp one cheek, do it very thoroughly, let it heal and stamp the other etc. Continue with you 0.5 mm rollings. I think you would also benefit from our 0.5% Tretinoin cream. It does not fill in scars but it will help with the remaining acne and pigmentation. Dermarolling / Microneedling / Why does Casey Bahr say that dermarolling permanently damages the skin? I found the source of the claim here, it was a comment by Casey Bahr on an article in the dailymail.co.uk (see first attachment below). I changed the title of your posting to make the case more clear. 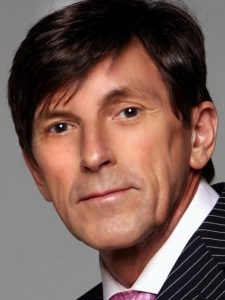 He claims that Botox and Dysport treatments are better than dermaneedling, as he claims that dermaneedling destroys your skin after a while, according to him it only makes your skin look good initially, and after that it will be permanently damaged because the skin can only renew itself a limited number of times. Who is Casey Bahr? He mentions in his "full disclosure" that he has "no financial interest in companies selling Botox or Dysport". Perhaps he has no shares in the manufacturers, but he forgot to mention that he sells those treatments in his own clinic! On top of that, his clinic sells laser treatments as well. In short, Mr. Bahr feels threatened by the phenomenon of dermarolling. The ever growing group of "home-rollers" do not need to visit his clinic anymore. The beginning of the end for business like his, because laser treatment for example causes incomparably more negative side effects than dermaneedling. Casey Bahr is the CEO of Revive Wellness Center in 353 S. Palm Canyon Drive Palm Springs, CA 92262. I added his LinkedIn profile below as an attachment so you can verify. Revive heavily advertizes both Botox and Dysport, e.g. under "Injection Treatments". I attached evidence below, straight from Mr. Bahr's website. So that is why Mr. Bahr spreads these lies about dermaneedling under the #1 mainstream news dermaneedling article (it ranks highest in the mainstream media for many search terms pertaining dermaneedling). And we can't defend ourselves against these extremely grave allegations, because comments on that article are not accepted anymore. Mr. Bahr is afraid he'll make less money when less people come to his clinic to get Botox or Dysport treatments. That's all. For the rest he offers no evidence to back up his claim that the skin has only a "limited number of regenerations before it will permanently collapse due to the permanent damage". So much for Mr. Bahr's "full disclosure". It's a well-executed act of disinformation with financial motives. When a person who is 100 years old (or 120 years old) cuts herself, the skin will renew. And the reason that older people have worse looking skin than young people is mainly sun-induced DNA damage, not Mr. Bahr's alleged exhaustion of the stem cells that produce new skin. That is why elderly Greek farmers have thick, tanned skin and elderly Norwegian office workers don't. He should back up his claim or refrain from making libellous statements in the British media. Libel with intent to do financial harm to a competitor is a very serious crime in the UK and Mr. Bahr can therefore be glad he is a US citizen. Apart from that, his statement is maliciously intended to provoke severe distress in hundreds of thousands of "homerollers" (our company alone has tens of thousands of customers) and that is illegal as well in the United Kingdom. (Not that I agree with that law, but that is another matter entirely.) So Mr. Bahr, by his nefarious actions made himself guilty of two prisonable offences in the UK. We really have to stop tolerating such things, because next time he'll do it anonymously or pretend he's a doctor. Spreading lies that make countless people very worried with the intent of getting richer yourself and putting your ethical competitors out of business is rightfully so a criminal offense in the UK. Sorry that I dwell on the legal aspect, but I want others to realize that if Mr. Bahr would be German or French or any other EU citizen, we could start a lawsuit against him in Britain (with the strictest libel laws in the world) and get him extradited on a EU arrest warrant, which can not be disputed by EU treaty. And if we would file a suit against him in absentia in Britain, he might be convicted and even though the US does not extradite their citizens, if he enters any EU country he would be arrested as a consequence of a Europol arrest warrant against him for the non-payment of fines and damages, or even for not showing up at the prison gates. I'm not saying we will sue Mr. Bahr, but I want others like him to know that we are monitoring the Internet for the spreading of disinformation with intent to harm businesses like ours and favor their own. Hiding behind anonimity is useless - IP addresses can be easily supoena'd and proxy server records can be as well. I may sound overly litigious but I think someone should put a stop to these devious spammers. It stops being mere spam when you actively attempt to shut down bona-fide businesses by scaring their customers with lies. We started selling dermarneedling devices more than half a decade ago. We have tens of thousands of customers. We never heard of premature skin aging from them, nor from the medical literature. On the contrary, the whole point of dermaneedling is that it tricks the skin into orderly regeneration. Don't take our word for it - look at Dr. Dermond Fernandes' skin, a real-life example. Dr. Des Fernandes is 70 years old at the time of writing, he dermarolled his own face more than 50 times (Link to article and photo of his face are on our front page, as well as a link to a recent interview with him on YouTube). I've never seen someone that old with such good looking skin! If his skin would have been destroyed by those 50 dermaneedling treatments (and he uses very long needles! ), not even the best facelift in the world would hide the damage. Fernandes invented the dermaroller in its current form and has been treating celebrities for decades. He and his clients are living proof that dermaneedling works. A 0.5 mm dermaroller already reaches the top layers of the dermis so it increases the turnover there as well. For your scar, a dermastamp is more suitable. Tretinoin often evens out the melanin distribution in the skin and the exact mechanism is not fully known. For you acne scars, use a 1.5 mm dermastamp with 35 needles. Use the 1.5 mm dermastamp also for the wrinkles around the mouth. For the wrinkles around the eyes and for the overall skin texture, buy a regular 0.5 mm dermaroller. Dermarolling works very effectively on acne scars but pores are not scars. is currently no method that can reliably and permanently make pores smaller. Dermarolling / Microneedling / Dermarollerus.com trying to scare you away from "homerolling"
There is a company owned by Horst Liebl, that holds the Dermaroller™ trademark. They falsely claim to have invented the dermaroller. Their main distributor and online vendor is dermarollerus dot com, and the only products they sell to private individuals have such short needles (0.2 mm) that they do not majorly rejuvenate the skin, those short-needled rollers are mainly for product absorption. They only sell the longer-needled dermarollers to cosmetic surgeries and beauty salons and the like. That is their business strategy, because that way, they hold a chokehold on the professional market, forcing them to honor their patent and buy dermarollers only from them. You already guessed it: Their rollers are many times more expensive than ours or just about anyone else's, even though their rollers don't even have a staggered needle pattern. What is so controversial about them? 1. Dr. Des Fernandez says they got the idea from him, they cheated him out of the patent he claims. After having talked to him and thoroughly verifying his arguments, we think he's right. From his correspondence: "While I have your attention I would like to point out that Horst Liebl was not the inventor. I drew a diagram of the roller for him in 1998 when he visited me in Cape Town. I had submitted the design for patenting the year before but withdrew because there was doubt about it's patentability." 2. That company is reportedly using lawsuits to shut down other companies that sell dermarollers so that they'll have the monopoly, even though their patent is not enforceable due to prior art. Again, from Dr. Fernandez' email: "Dr. Pistor, the father of mesotherapy, had patented a rolling device in 1950's to enhance the penetration of vitamins and induce collagen formation!". This is the dermaneedling device patent from 1974 by Michel Pistor: Read PDF. So Dr. fernandes was correct in thinking that the dermaroller was not patentable, because Pistor's patent shows and describes an identical embodiment of the invention and for identical uses as the currently patented Dermaroller™ (read PDF) by Horst Liebl. As you see, Liebl patented the same device in 2009, 35 years later. That makes his patent null and void due to its unenforceability. 3. They or their distributors are spreading a lot of nonsense about home-dermarolling, apparently in the hope to scare people away from it, so that they'll get a monopoly on the use of the devices (their dermarollers of course) in clinics only. More about their FUD (sowing fear, uncertainty and doubt) later. 4. The only dermaroller they sell has such short needles (0.2 mm) that it doesn't much regenerate collagen or elastin (it only affects the epidermis), but they charge you 150 dollars for it. $149.95 to be precise. There is nothing special about their roller. It used to be produced in Bali, Indonesia, according to Dr. Fernandes. Then their factory reportedly burnt down and noone knows where they're produced now. That is clearly nonsense, because they sell a 0.2 mm dermaroller and claim that you can reuse it 125 times without getting blunt needles. The needle length is irrelevant for the speed of blunting, since only the very tip blunts. So they contradict themselves when they say that needles blunt quickly when the roller is used multiple times. Similar nonsense is that blunt needles can cause nerve damage. The nerves are much deeper than the longest needles. The truth is that needles only very slowly get blunt, depending on how much skin is treated, in total, with a needling device. And you will start feeling that. Needling will hurt a bit more or it will get a bit harder to push the needles in. Then you know it's time to replace the roller. They put up a straw man by saying that alcohol merely disinfects but not sterilizes. They claim that only autoclaving can sterilize a roller, and that therefore, only metal rollers can be reused. However, there are cheap chemicals that do sterilize a plastic roller: Chloramine-T for example. We sell it. That Chloramine-T sterilizes instead of merely disinfects was already known 100 years ago (PDF). This is of course not true, since ordinary tatoo needles go up to 2 mm deep and something tells me that there aren't too many surgeons amongst tattoo artists. They warn against nerve damage, infections and other scary things, even though there isn't the slightest danger that that ever happens. There are no nerves anywhere at the depth of even the deepest needles we sell (2 mm). Infections would be extremely rare even if you'd not clean and disinfect or sterilize the roller/stamp, but with disinfection or sterilization, infections are totally unheard of. We have sold tens of thousands of dermarollers, single needles and dermastamps and we have yet to hear of a single infection. It's just sowing FUD (fear, uncertainty, doubt). No doubt this would be due to their own lobbying! Even if true in some jurisdictions, this legislation should be easy to circumvent or even revert, since a dermaroller with the longest needles can simply be reclassified as a handy tattoo device to tattoo large areas rapidly. Tattoo needles aren't medical devices and can be freely imported and bought and sold by anyone. Alternatively, the devices can even be labeled "Sushi tenderizer". The skin is temporarily dry and rough after dermarolling and for this reason, the wrinkles may look temporarily worse. You have to keep the skin moisturized as much as possible after rolling. I cannot roll or stamp the area above my upper lip without using a numbing cream. Anywhere else I can. It is painful, but bearably so. You can certainly use a 2 mm dermaroller to treat the lost elasticity skin on the stomach. Dermarolling can tighten the skin to a certain extent but if you have lots of excessive skin or if the abdominal muscles did not go complete back to their original position after pregnancy and they bulge, it needs plastic surgery.